Sign-up for a Tryout here. XWC has built a reputation as one of the best pro wrestling training facilities around through dedication to our craft and the guiding principles of our leadership. Our 3000 sq. ft. facility is located conveniently inside the KC Metro Area in the city of Raytown, at 11513 E. 63rd St. Raytown, Missouri. We are open 7 days a week and have been continuously active since July 2014. Our professional team of trainers work actively in the independent wrestling industry, and are led by Head Trainer David Cattin. David and his training staff work to develop in each trainee a total wrestling package, including grappling, high spots, camera work, ring psychology, promo production, match officiating, character development, and conditioning. Regular pro wrestling trainers at the XWC school include Independent veterans Derek Stone, Dan Sikorski and Adam "Jude Vice" Houck. Guest Trainers at XWC have included WWE Hall of Famer Ricky Morton (WWE, WCW, AWA, ECW), Matt Cross aka Son of Havok (Lucha Underground, ROH, CZW), Angel Medina (ECW), Jr. Histeria (AAA), 'Brutal' Bob Evans (ROH, WWE), Donovan Dijak (NXT, ROH) and many more! Building the wrestlers of tomorrow is the ultimate goal of the Xtreme Wrestling Center. Most pro wrestling schools are priced out of range for many people wishing to learn the craft, but the XWC's training program is constructed with the working person's time and budget in mind! Don't just take our word for it, make sure you read the reviews and come on down for a FREE tour. Here is some of our news coverage. Xcellent photos of our training can be found on our Facebook. You can also see many current students and graduates over at our partner promotion Kansas City Xtreme Wrestling (KCXW) via their social media and website www.KCwrestling.com. Contact us via email or Facebook with any questions about our training services. Ask us about using our facility for a unique and memorable wedding or birthday party! 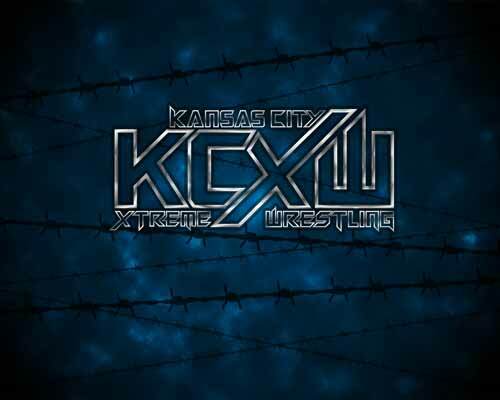 We are partners with KC wrestling organization Kansas City Xtreme Wrestling (KCXW), a promotion which was founded in 2014 and runs regular events in Kansas City. Our students gain the opportunity to work closely with the Owners and leading members of KCXW, and as training progresses many will receive matches at KCXW events. Head on over to the Kansas City Xtreme Wrestling website for more information! The Xtreme Wrestling Center will be hosting several pro wrestling seminars during 2018, including with Ricky Morton of The Rock N’ Roll Express in January and 'Brutal' Bob Evans in March. Contact us at training@xtremewrestlingcenter.com to reserve your spot!